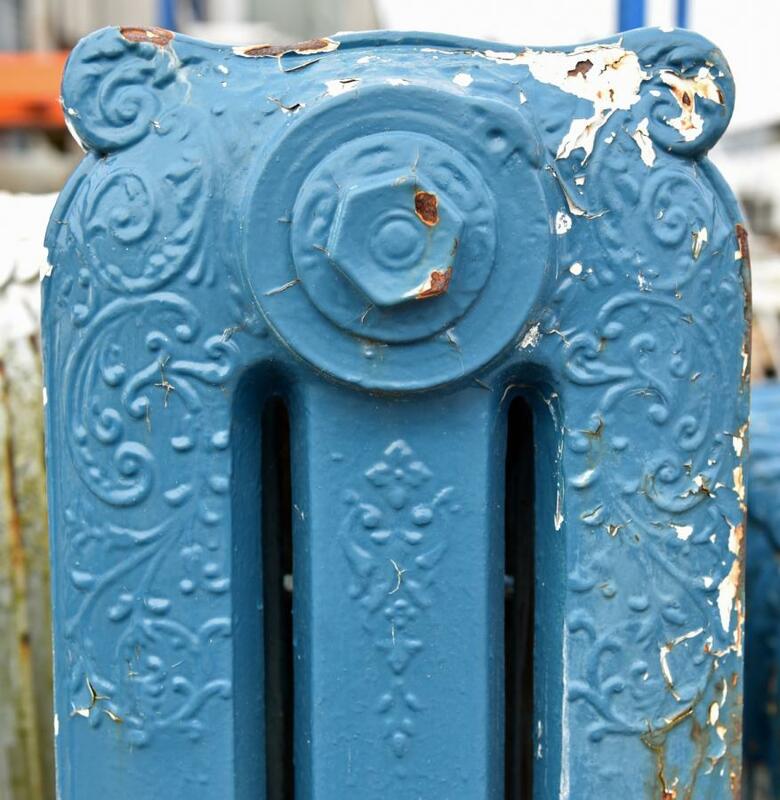 Antique decorative cast iron radiators with floral design.English ones. 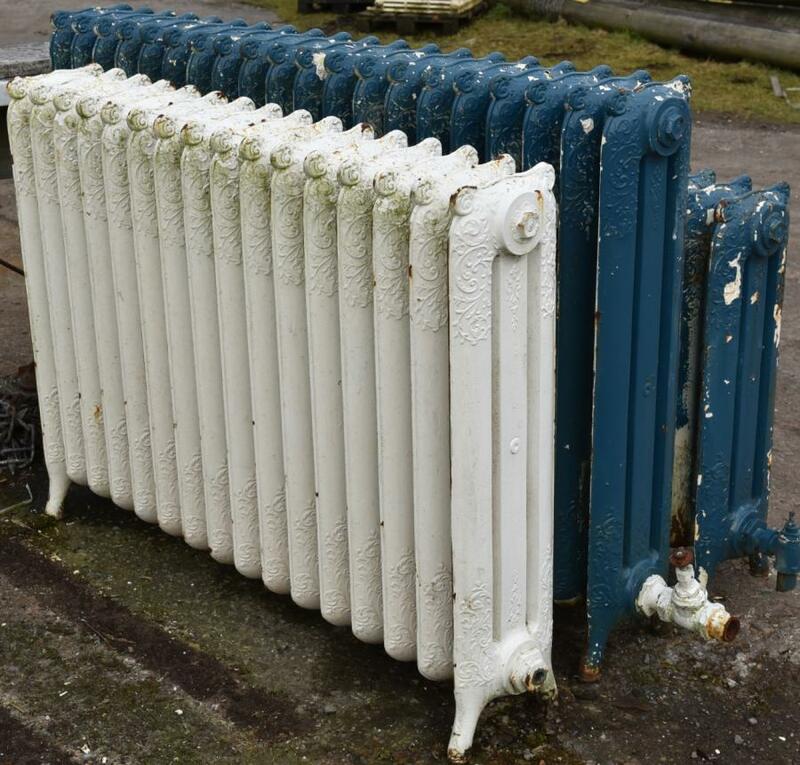 Dimensions in inches(cms); Three triple columned ones, 60(153) wide x 38.5(98) tall x 9(21) deep 20 sections 48.5(123) x 36(92) x 9(21) 16 36(92) x 30(76) x 9(21) 12 and one double columned one, 21.25(54) x 24.5(62) x 7.5(19) Other decorative radiators available as well as unusual and rare ones. 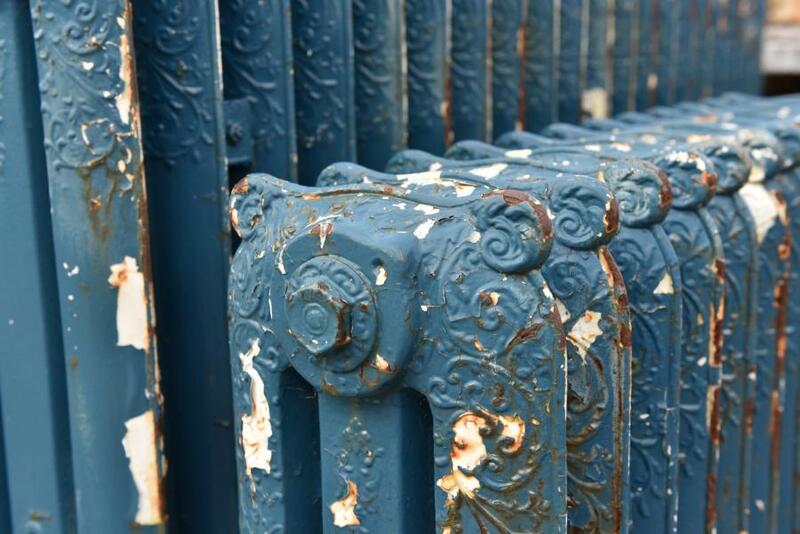 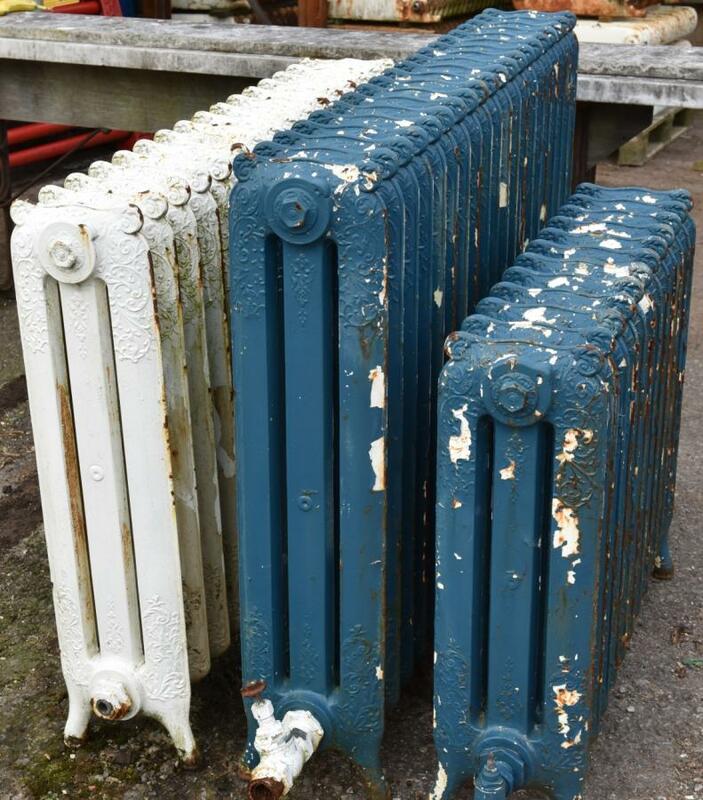 And a large stock of other cast iron radiators that can be supplied restored to customers specifications.